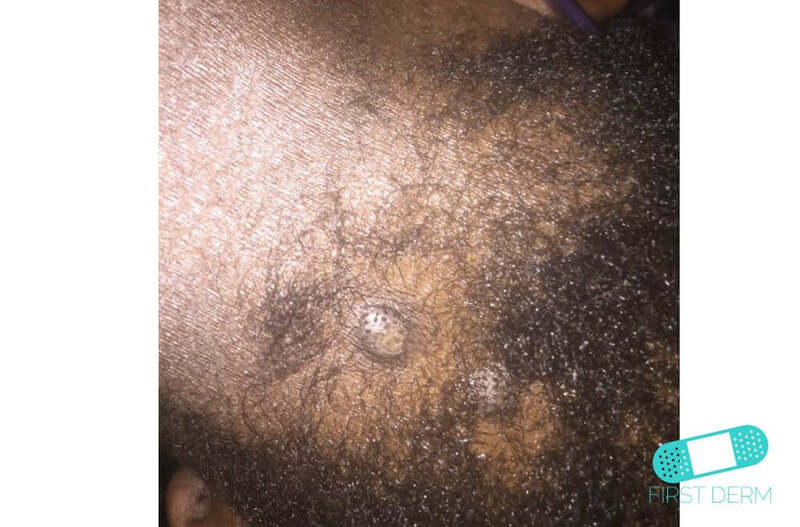 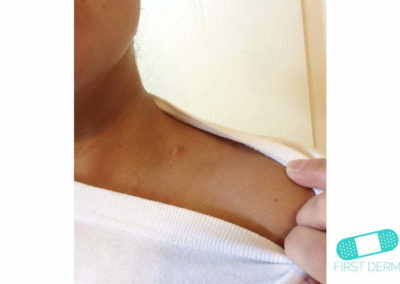 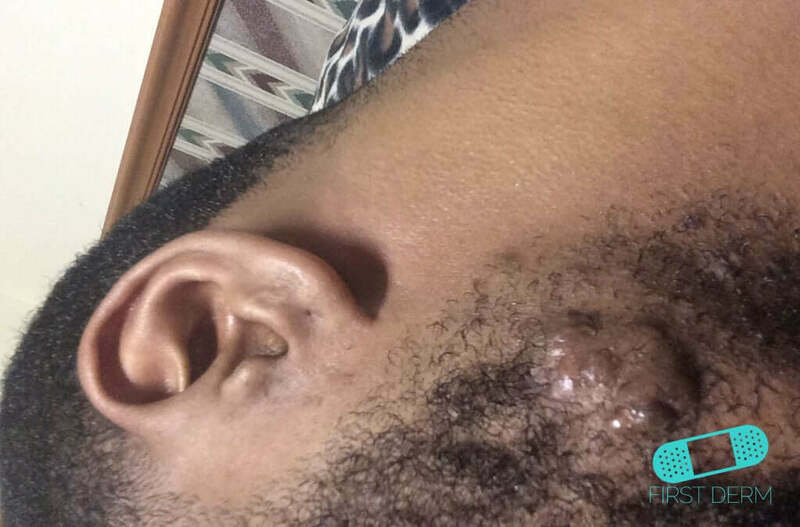 A keloid is a scar caused by the overgrowth of tissue from skin injuries such as burns, scratches, insect bites, or body piercings. 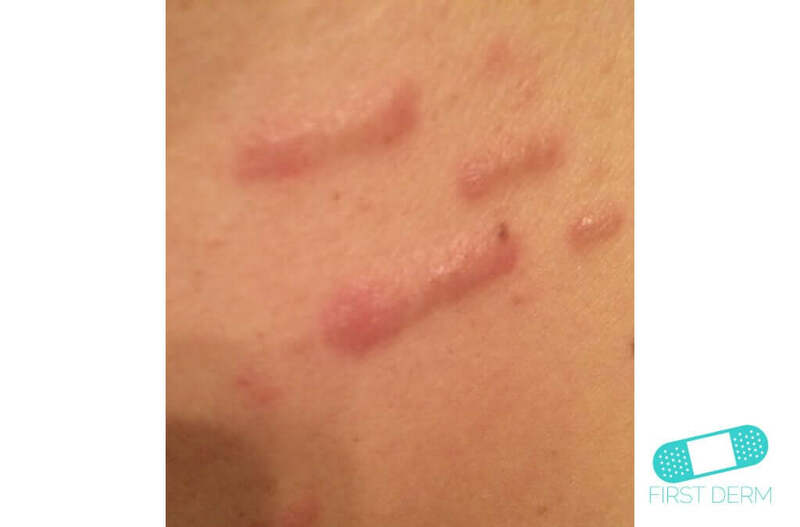 They are harmless, but may cause cosmetic concerns. 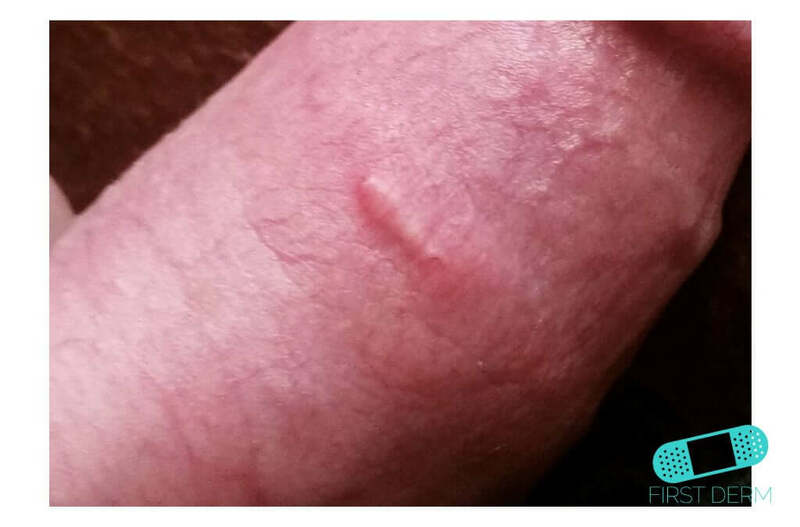 When your skin is injured, scar tissue forms over the wound to heal and protect the injury. 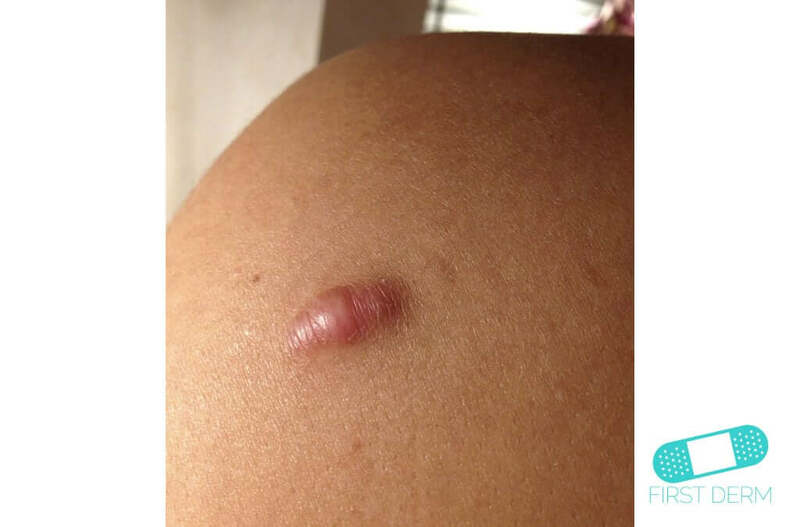 Keloid happens when the scar tissue grows excessively. 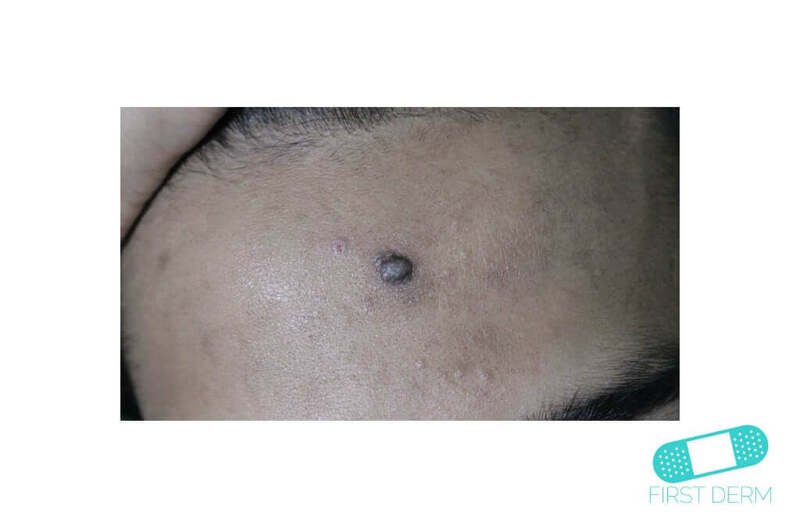 All genders are equally likely to get keloid scars, but those with darkly pigmented skin are more susceptible. You are also prone to keloid formation if you’re younger than 30 or pregnant. 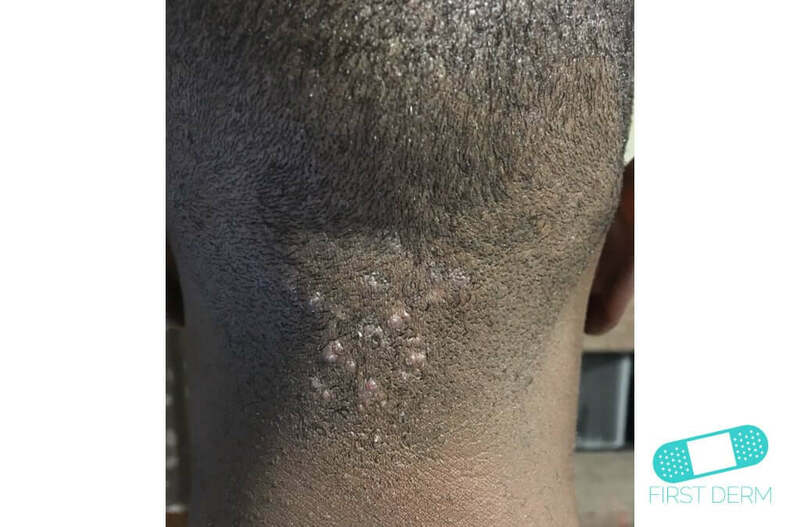 Genes factor into the cause of keloids as well. 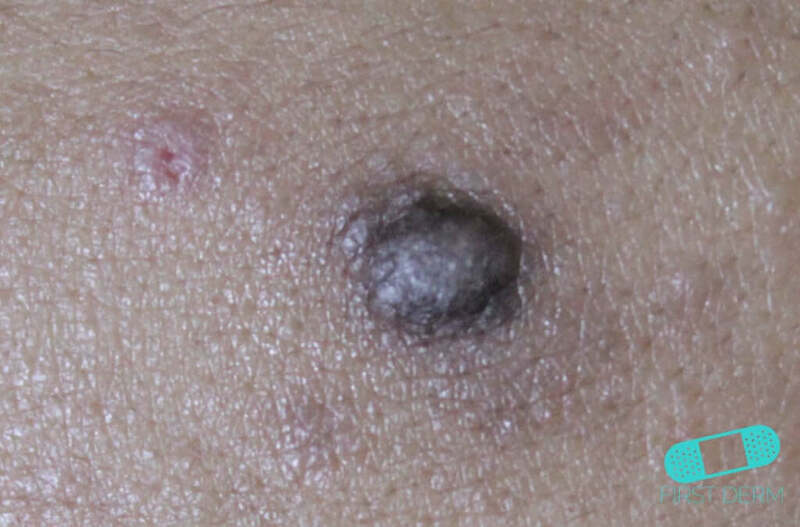 People of African, Asian and Latino heritage tend to get keloid scarring more easily. 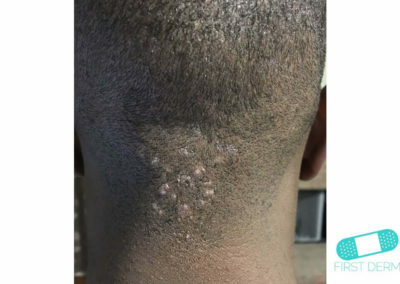 Keloids occur mostly on the chest, shoulders, earlobes and cheeks. 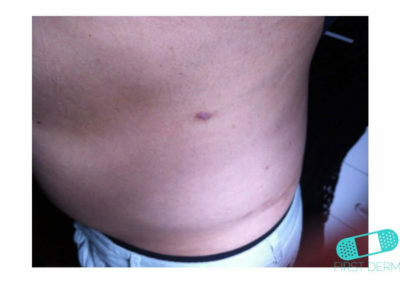 The condition is localized and does not affect other body parts. 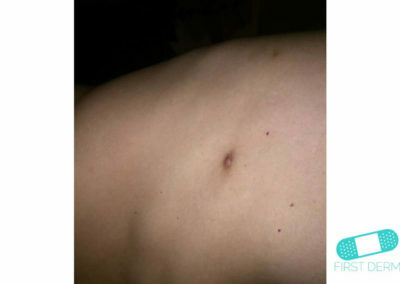 This is defined by an elevated, ridged area of the skin. 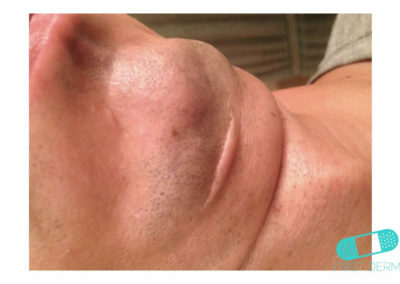 However, the affected area may continue to grow larger over time, taking weeks or months to develop fully. 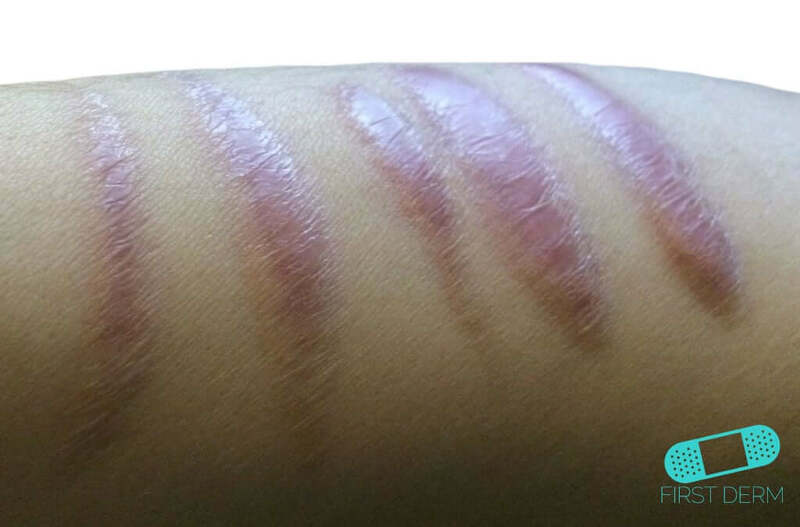 The scars are rubbery and firm and can be itchy. 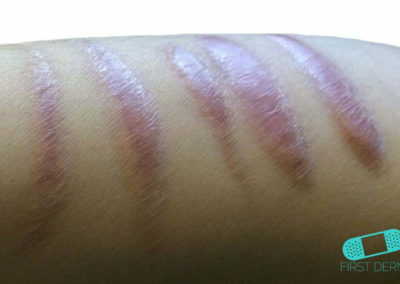 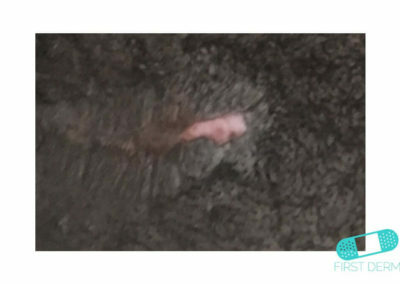 They can grow much larger than the original wound and are usually flesh-colored, pink or red. 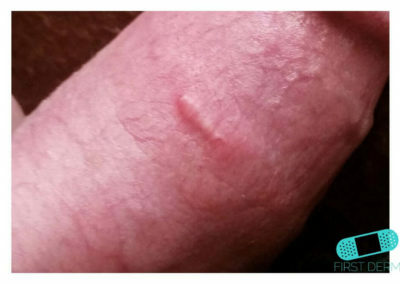 You may also experience discomfort, tenderness or possible irritation from friction, such as rubbing on clothing. 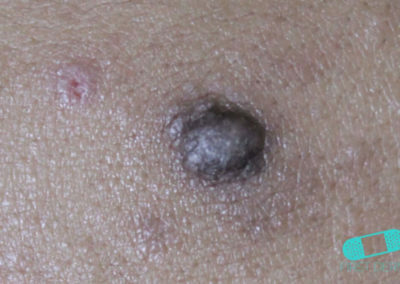 If the keloid scarring occurs over nearly your entire body, it may restrict your movements. 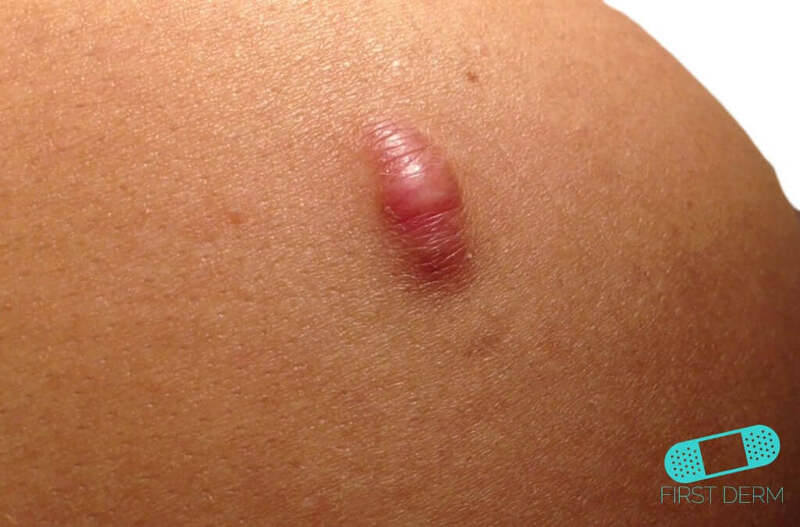 Sun exposure can discolor the scar tissue and make the keloid appear darker than the surrounding skin. 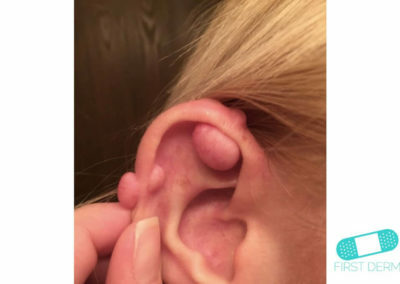 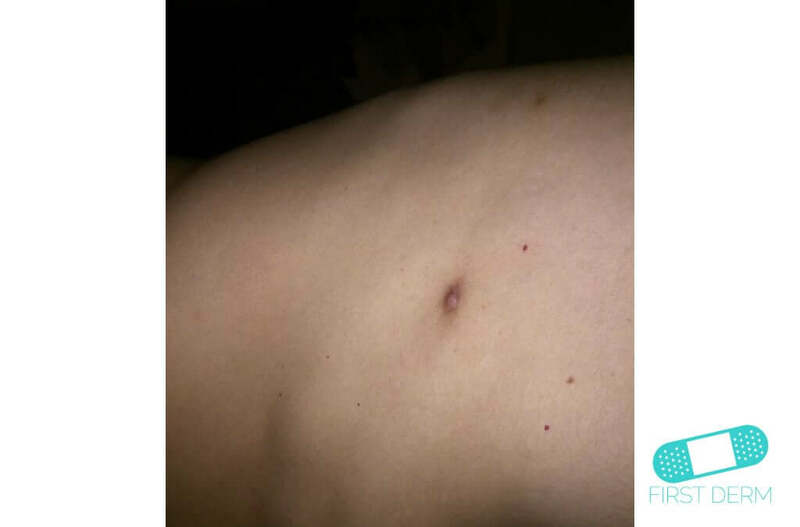 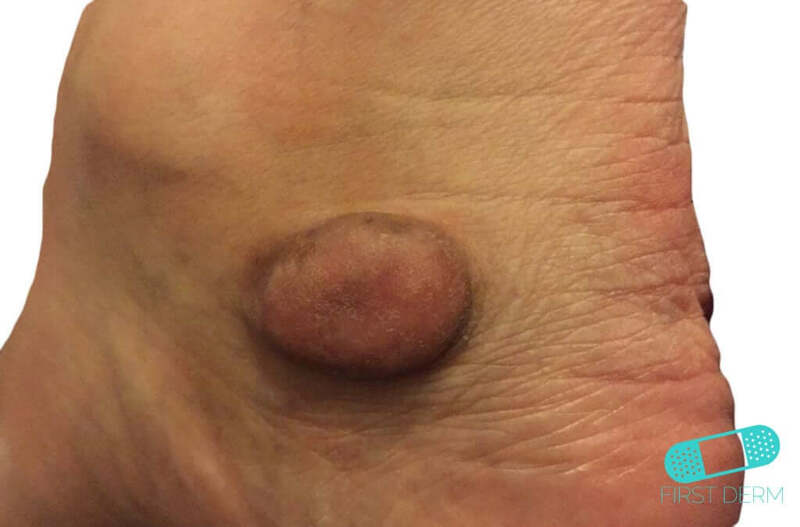 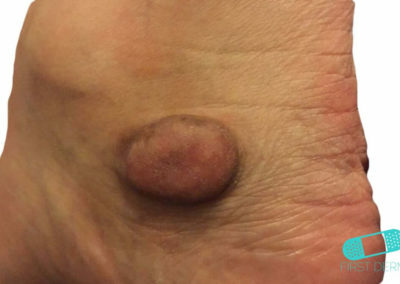 Keloid susceptibility is genetic, so the scars can be prevented by avoiding body piercings and unnecessary surgeries in patients with known predispositions. 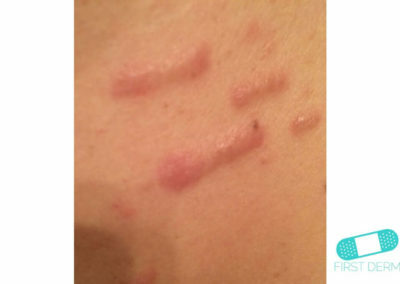 Use imiquimod cream to prevent keloids after surgery or skin injuries. 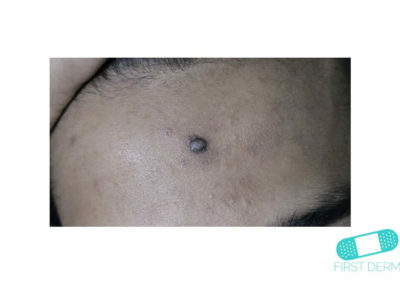 Also, keep the scar from sun exposure to prevent discoloration of the existing keloid. 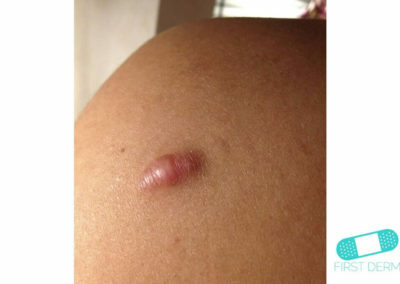  You may also cover a keloid that is forming with a patch or Band-Aid. 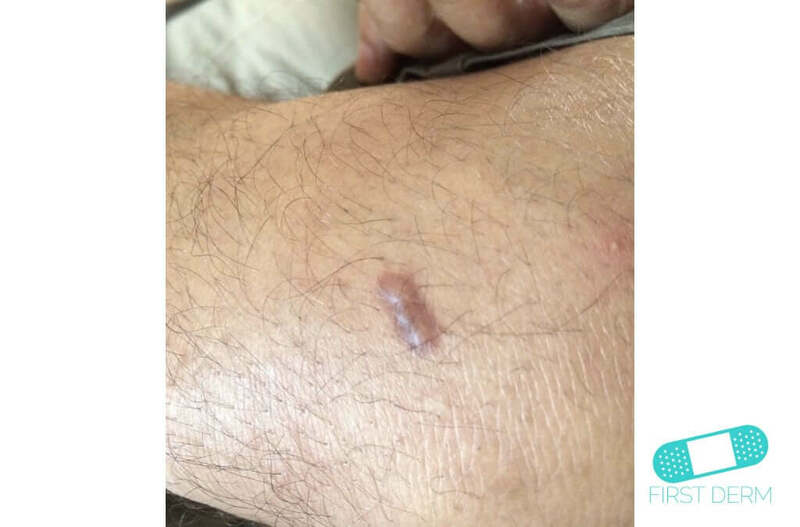 No medical attention is necessary usually. 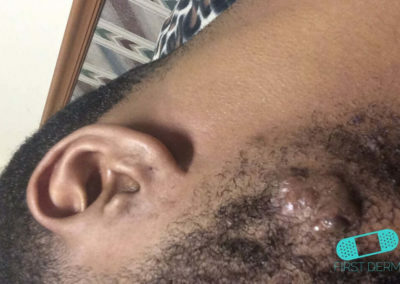 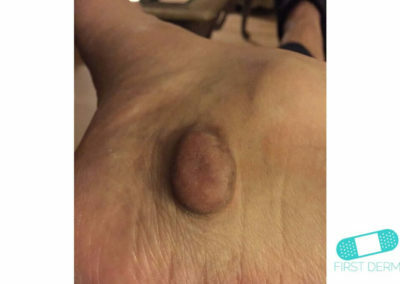 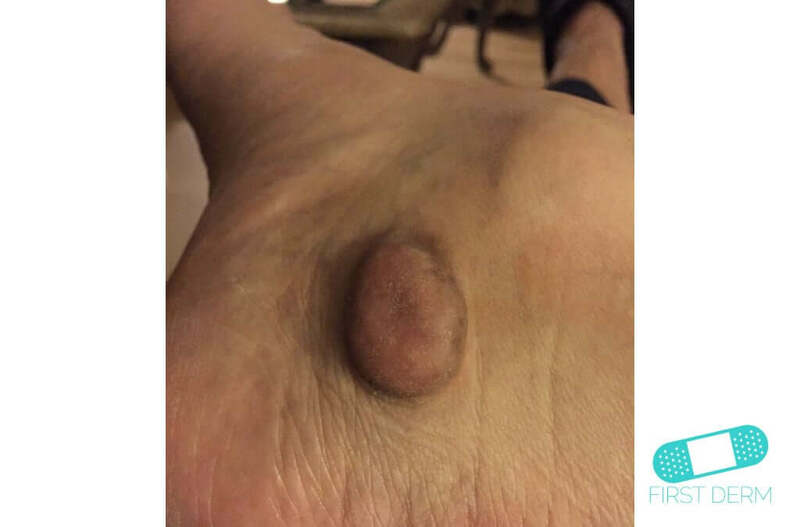 You may want to contact your doctor if the keloid growth continues uncontrollably. 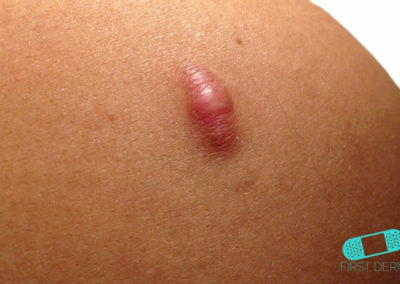 This can be a sign of skin cancer. The same applies if you develop additional symptoms or if you want to have the keloids surgically removed. 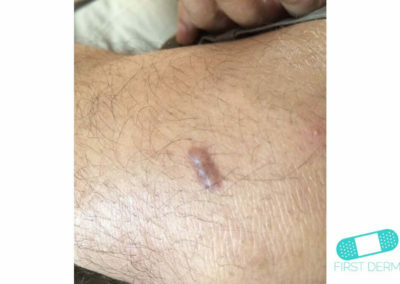 A healthcare provider can diagnose the condition by a visual exam or a biopsy.